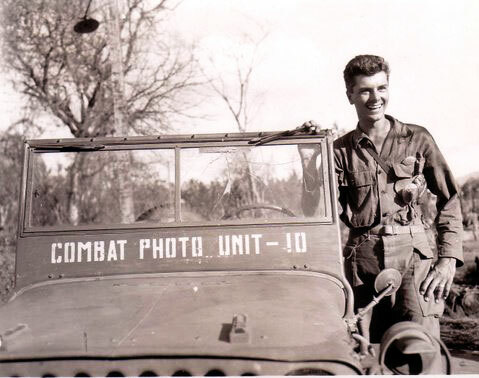 Sergeant Albert E. Glocker, who was at Fort Benning, Georgia, and Signal Corps Army Pictorial Center Photo School at Astoria, Long Island, was stationed in the South Pacific during WWII, in what would be known as Combat Photo Unit 10. His daughter, Lynn Glocker, explained: It was in 1942. 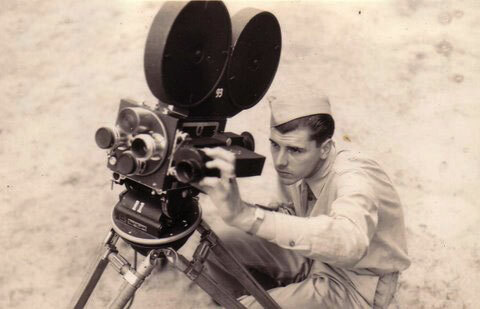 He was a motion picture photographer, one of two in his unit, along with Don Honeyman. 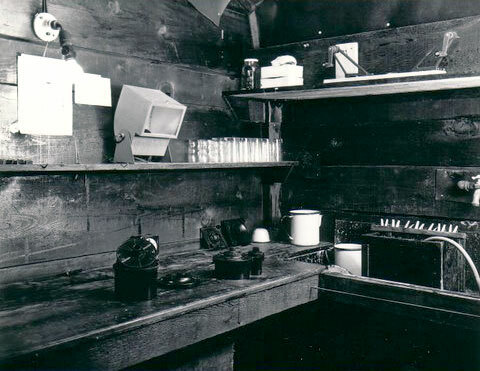 Al Glocker was one of the first to be assigned to a unit, at that time called General Assignment Unit 10, which included lab work as well as taking pictures. 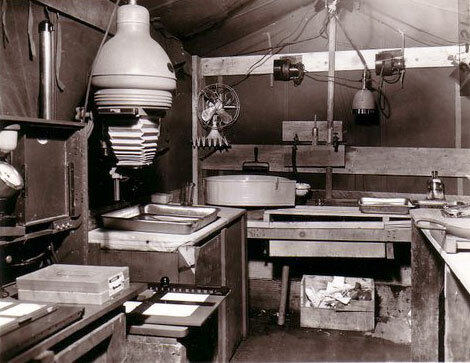 They had complete darkroom and processing gear. 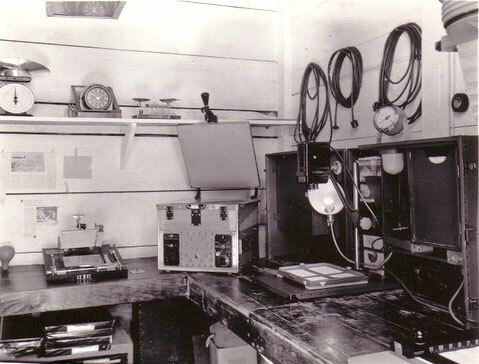 When they were on Guadalcanal, they realized that they were overburdened with equipment, and shipped their lab equipment back to the company headquarters and main processing labs at Noumea, New Caledonia. They were then reorganized as Combat Photo Unit 10, and reduced from six to four enlisted personnel, with one officer, either a second lieutenant or first lieutenant. Lt. Donald Mittelstaedt was my father's lieutenant and friend to the end. My father, Albert Glocker, died December 5, 2008. Lt. Mittelstaedt is now 91 and living in Sierra Vista Arizona. We are in close contact. 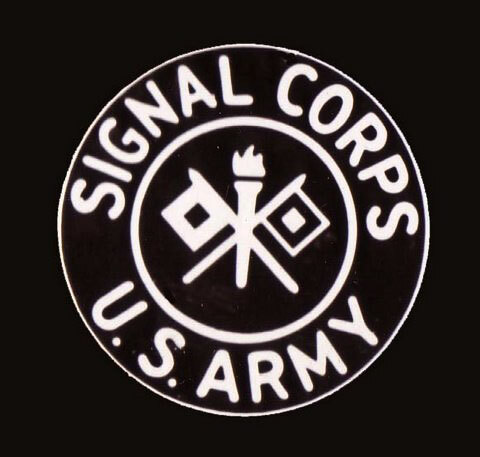 The 161st Signal Photo Company was the original unit from which cadres were sent to other bases to form new photo companies., including the 162nd, 163rd on up to the 169th. Many were sent to Africa (165th) and Europe, even Burma and China. Al Glocker at Long Island. Glocker with a Mitchell camera. "Kudos for presenting a super story of Al and Combat Photo Unit 10. I wish I could find what happened to PFC Robert D. "Stoney" Stone, Army serial # 32140847. The army changed to using SS numbers, but there must be a way of cross referencing. I always felt bad that I could not promote Stone, because he deserved it. We were all frozen in grade for the duration, so I couldn't be promoted higher, and neither could my men. I got them as high as I could. Wiser officers than me transferred to other organizations (non photo) so they could go up the ladder. I hated the idea of leaving the combat photo. I was trained to be an infantry officer, but was transferred early in the war to Signal because of photo background. If I had stayed in the infantry, who knows where in the world I would have been killed. Because I was short in height, I was harder to hit. Our unit went with the infantry and endured the same fighting conditions and dangers, except we could not take picture at night, so we could hide better. "I also was stationed at Ft. Monmouth in 1942." 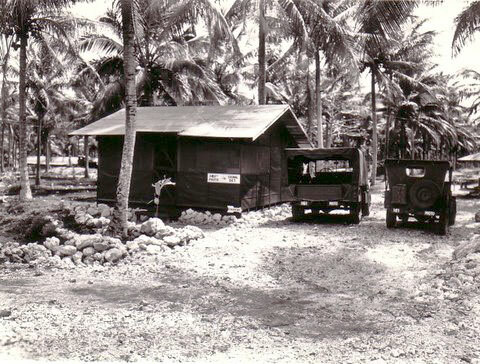 Combat Photo Unit 10 "had quite a history during the war, covering the South Pacific area. We covered combat actions of the 25th Div, 37th Div, 40th Div, 43rd Div, 32nd Div, 6th Inf Reg, 158th RCT, 1st Cav and 11th Airborne. "We operated pretty much alone with blanket orders to whatever destination we picked, with first available transportation via air, water or land. We did not try to bump high ranking officers, but had a high priority. We usually had orders attaching us to a Division Signal company for bivouac and rations, working out of the Division G-2 for advice on which regiment, battalion or company was getting the action. Of course, we reported our presence to the CG and the Div Sig officer, but we worked out of G-2 or S-2, if we were with a regiment. If a unit was exhausted we would leave and join another unit in action. 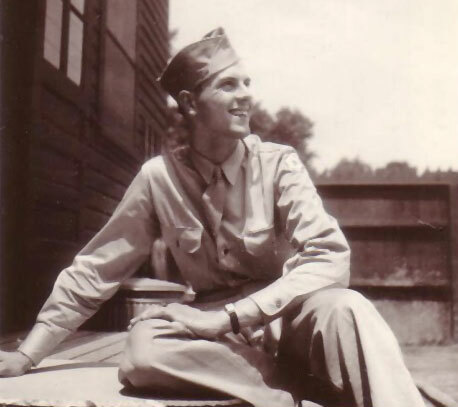 "Combat Unit 10 was on many islands, including Guadalcanal, New Britain, New Guinea, Leyte, Luzon, and I took one of my men, T/4 Robert Preston to Japan with me after the surrender. for the occupation. At that time, I was 6th Army Photo Liaison Officer." 161st Signal Photo Detachment. The caption reads, (left to right,) "Al Glocker, Bob Preston, David Fields (from Georgia), Frank Ketchum, Lt. Don Mittelstaedt, Don Honeyman, Bob Stone. The sign on the building says "Leyte Normal School." This was at Tacloban, Leyte, in October 1944. 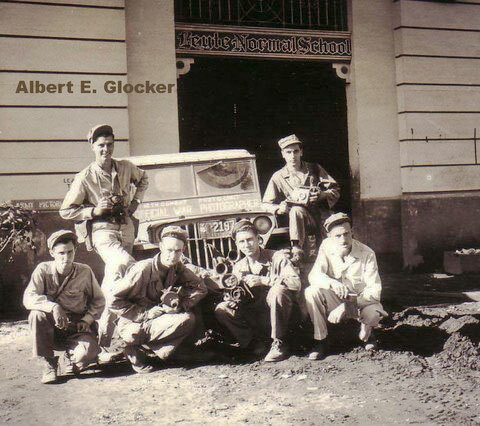 Glocker with unit jeep; the caption says, "Al Glocker just out of hospital." 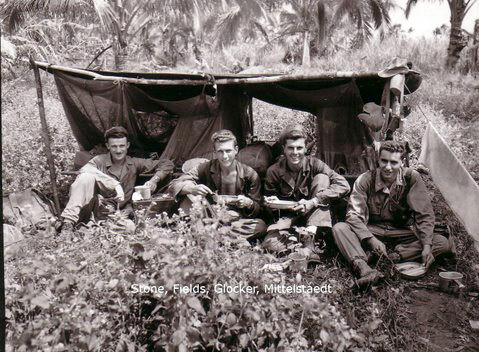 Break for chow: the caption reads, "Stone, Fields, Glocker, Mittelstaedt." The caption reads, "Favorite photographer of all visiting Hollywood starlets. WAR IS HELL. 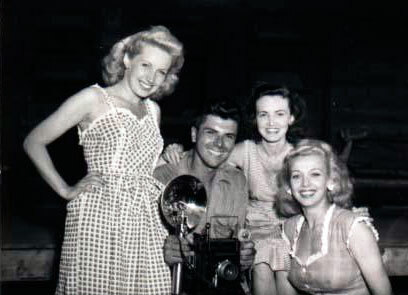 Martha Tilton, Al Glocker, June Bruner & Carole Landis." 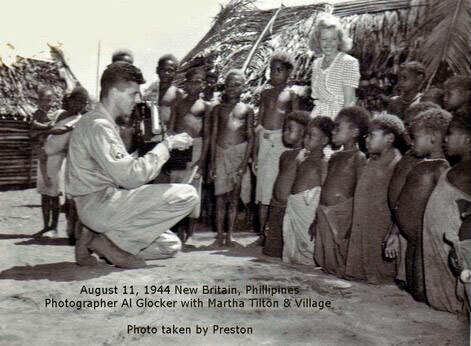 The caption reads, "August 11, 1944, New Britain.. Photographer Al Glocker with Martha Tilton & Village. Photo taken by Preston." This was at Cape Gloucester, New Britain. 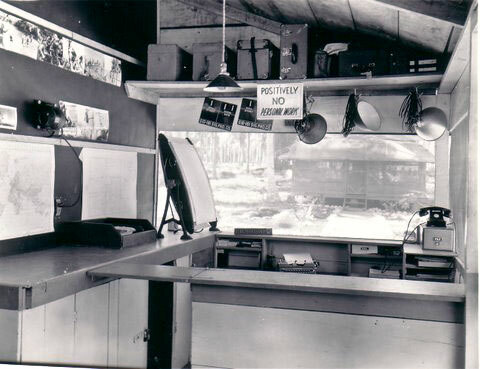 Former Lieutenant Mittelstaedt commented on this photo supplied by Lynn Glocker, "Photo lab shown was on Espiritu Santos Island in 1943, built by us from scrap lumber we salvaged from shipping crates at the dock. We are all pretty proud of our carpenter skills. I (as a former architect student) drew the plans. 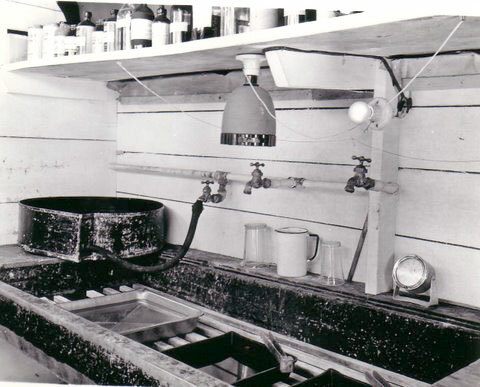 We also built our own boat, which we gave away when we went to Guadalcanal. 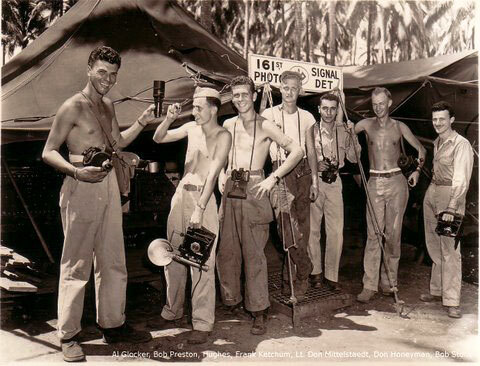 On Guadalcanal, we used a canvas tent for darkroom, which was terribly hot since we were barely south of the Equator, and the sweat poured off our shirtless arms, making processing film very difficult, even just to load film." Former Lieutenant Don Mittelstaedt provided this photo of the Japanese surrender of the Philippines on September 3, 1945. "That is me standing in the row behind seated generals. I am wearing dark glasses. I have a Leica around my neck." 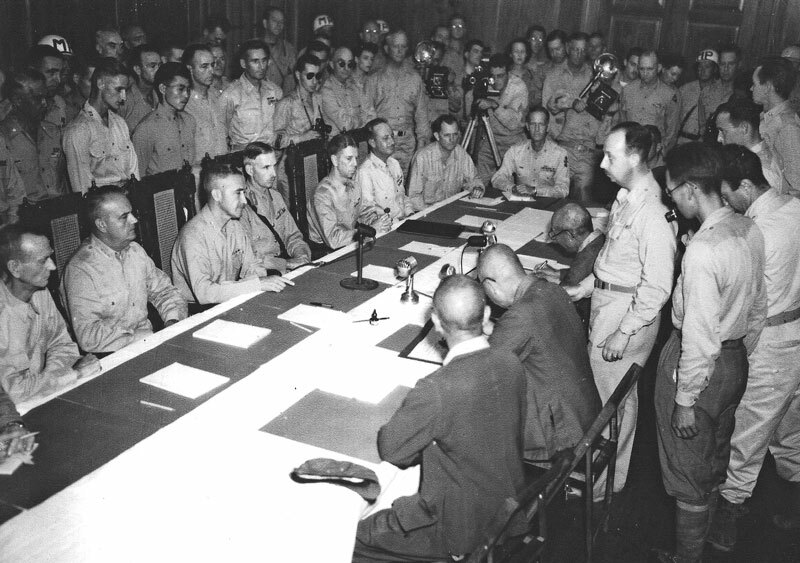 Imperial Japanese Army General Tomoyuki Yamashita and Imperial Japanese Navy Vice Admiral Denhici Okochi signed the instrument of surrender -- "We hereby surrender unconditionally to the Commanding General, United States Army Forces, Western Pacific, all Japanese and Japanese-controlled armed forces, air, sea, ground and auxiliary, in the Philippine Islands" -- at Camp John Hay, Baguio, Mountain Province, Luzon, Philippine Islands.